LabelTasks is ready to go and configured for use with the following desktop printers. These are printers which LabelTasks has been tested and validated on - other printers in the manufacturer's family range should also be supported by the software. 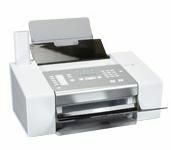 Also, purpose built label printers are supported with additional configuration. This is available as part of the product support when you purchase licenses of LabelTasks.